Diatoms are a group of unicellular algae particularly sensitive to changes that affect their aquatic environment. This is why they are used as bioindicators for the biological monitoring of water quality. However, their microscopic identification in river samples requires a lot of time and skills. Biologists from the University of Geneva (UNIGE), Switzerland, have succeeded in establishing a water quality index based solely on the DNA sequences of the diatoms present in the samples, without needing to identify each species visually. This study, published in the journal Molecular Ecology Resources, presents a revolutionary tool to process a very large number of samples in parallel, allowing wide coverage of the monitored sites in a reduced time and at a lower cost. The degree of pollution of rivers resulting from human activities is assessed using different biotic indices. The latter reflect the ecological status of a river based on the quantity and diversity of organisms selected as bioindicators, due to their ecological preferences and tolerance to pollution. 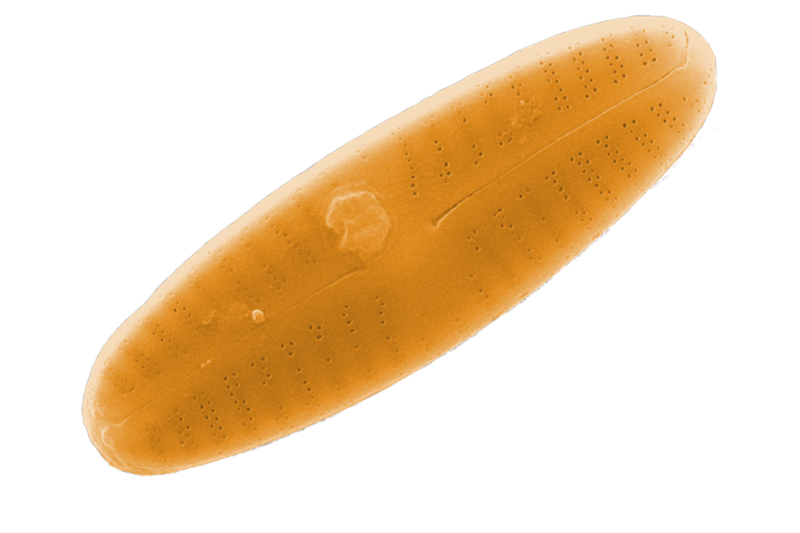 This is the case of diatoms, algae consisting of a single cell surrounded by a silica skeleton, recommended by the European Union and Switzerland as one of the ideal bioindicators for rivers and lakes. The quality of our rivers is determined using the Swiss diatom index (DI-CH), whose value defines the ecological status. “The morphological identification of the different species present in each sample, however, no longer meets the needs of rapid and reliable bioassessment measures introduced to protect aquatic environments. This is why we have tried to develop a new method”, says Jan Pawlowski, professor at the Department of Genetics and Evolution of the UNIGE Faculty of Science. In collaboration with the Geneva Water Ecology Service (SECOE) and the PhycoEco environmental office in La Chaux-de-Fonds, Switzerland, the researchers analyzed the 90 or so samples taken in different rivers in Switzerland and determined their ecological status using the DI-CH. They have thus established a reference system in order to validate the molecular index under development. The latter is based on the DNA sequences characteristic of all the diatom species which may be present in these samples. “The whole range of DNA sequences revealed in each sample corresponds to a specific DI-CH quality index. Furthermore, each sequence identified has a different distribution and is detected in variable amounts from one sample to another. By integrating all these data, we were able to calculate an ecological value for each sequence, without having to identify the species to which it belongs”, explains Laure Apothéloz-Perret-Gentil, a member of the Geneva group and the first author of the study. This approach makes it possible to determine the quality of water using all of these ecological values. “Our assessment was correct for almost 80% of the samples, which is very encouraging. Increasing the number and diversity of samples will allow us to calibrate our method for future routine, large-scale analyzes”, indicates Jan Pawlowski. The synchronous processing of a large number of samples in record time and at a reduced cost is not the only advantage of this new tool. The molecular index developed by the biologists from UNIGE could easily be adapted to other groups of unicellular bioindicators: a major asset for monitoring various types of aquatic ecosystems.